So, we begin our journey for this exam season with the first major MBA exam of this season: NMAT-2018. 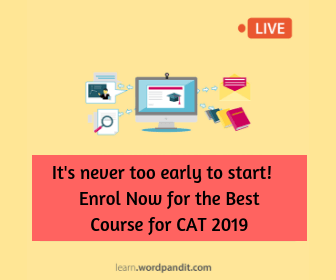 This two-hour test, which consists of 120 questions, is the precursor for other exams to follow and is one exam that is going to help you assess your preparation levels as well. There is nothing like an actual exam to help you understand your preparation and what it requires! 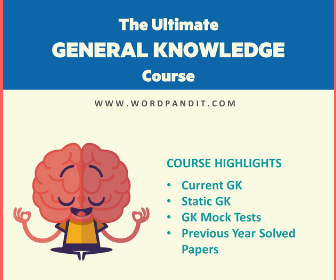 We, at Wordpandit, have a deep commitment to present you with the most relevant information for this exam and help you understand how to go about the exam. The information in this article is based on the actual test experience of Wordpandit himself (Prashant Chadha took the test in the first slot of the exam). Through this article, we will share the relevant analysis and important information for the exam. Kindly do not post questions/queries asking for actual exam questions, vocabulary words, and so on. We will not be sharing this on this platform as the NMAT non-disclosure form is fairly clear about this matter. This is a strategy article, and its sole purpose is to help you refine your preparation. This is the fourth year when GMAC is conducting NMAT, and this is the same organisation that conducts the GMAT exam. As such, the exam does not have major glitches. My exam crashed once (*during the change of sections), but the test administrator was quick to help and restore the exam. The exam re-started from the same point, and there was no loss of time. Overall, in such a scenario, it is extremely important to remain calm and make sure this does not bother you. It is the job of the test administrators to help you and do not get anxious about the same. Use this extra time to relax and re-focus yourself. Now, let’s analyse the actual exam and the important takeaways for the three sections. The one good thing about NMAT pattern is the consistency: the exam does not waver from the same and sticks to its consistent pattern. In terms of the exam pattern, the exam was similar to the last two years, and the topic weightage also remained similar to the previous exams. This consistency allows you to prepare for the exam in a better manner. The exam level was easy to moderate, and if you are thorough with the basics, you will do well in the exam. All the three sections were fairly easy and all that was required of you was quick thinking, razor-sharp precision and great question-selection. Remember, this is the combination of skills required for exams such as NMAT which measure your problem-solving speed rather than accuracy. Now let’s have an in-depth look at the various sections now. The key challenge in this section is balancing time: 32 questions in 22 minutes is a challenge. On top of that, this particular slot featured two RCs that were fairly lengthy and considering that the questions were also not direct, you are advised to solve one RC only in such a scenario. The reason for this is simple: there are far too many easy NON-RC questions in this section, and you do not wish to skip these. Overall, the RCs were lengthy and complicated. Two of the para-jumbles were tough as well, and analogies were not direct in nature. Other than these topics, the other questions were fairly easy. The key skill to perform well in this section is to identify the right questions to attempt. Once you can do that, you will able to score very well in this section. If English is your area of strength, you should attempt this section first. Also, since English has the least amount of time and the highest number of questions, you can get it out of the way first (when your mind is the freshest and allows you to push yourself to the limit). Mathematics related topics: Most of the Arithmetic and Number Systems were very simple. In fact, the Data Sufficiency questions were also fairly easy and did not require a lot of effort. Barring a few questions here and there, most of the questions were easy to solve. At the end of the day, question selection matters. The rest of the questions can be considered easy. Data Interpretation: There were 5 sets of 4 questions each. One set had significant calculation work and another involved moderate calculation work. Other than this, the remaining three sets could be solved quickly. – Questions are based on your understanding of basics. – Questions did not require shortcuts/formulas; just simple understanding of mathematics. – As always, in a speed based test, question selection is king: more than enough easy questions in the exam for you to solve. As always, the NMAT logical reasoning section is a mixed bag and it varies quite sharply in comparison to the CAT exam. 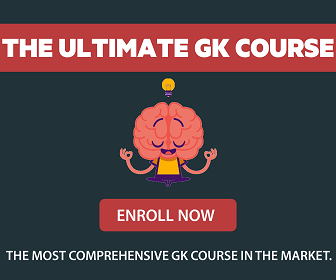 It consists of quite a few topics and requires you to be on top of your game. 1. Verbal Reasoning: The exam has a very strong focus on Verbal Reasoning questions and includes topics such as Critical Reasoning, Decision Making, Strong-weak Argument, Assumption, Syllogisms, etc. The good thing about the questions from these topics was that the questions were easy and did not require extensive practice. Be acquainted with these topics and understand the basics for these. Considering the questions for these topics do not require a lot of time, you can easily solve quite a few of these questions in the exam. 2. Logical Reasoning: The sets featured in this area were easy to moderate in terms of difficulty level. The sets were conventional in type and posed no challenge whatsoever. For the other questions, you need to select on the basis of your comfort level and how quickly can you solve those questions. 3. Overall, this section once again offers you ample opportunities to solve quite a few questions if you pick the right ones. 4. Make sure you practice non-CAT reasoning topics. More than the level of difficulty for these questions, it is the unfamiliarity with question types that hurts students in the exam. The overall level of the exam is easy to moderate. Time management and question selection are key. Do not be blinded by CAT: there are quite a few non-CAT topics in the exam. Make sure you take same NMAT mocks so that you are acquainted with the exam pattern. There are some questions in QA and DI that can be solved with the help of options and graph evaluation. Make sure you are careful to spot these. NMAT is a speed based test, and it is all about maintaining an aggressive mindset in the exam. Do not get stuck at any given point of time: keep solving, keep pushing forward. This completes our analysis for the exam.